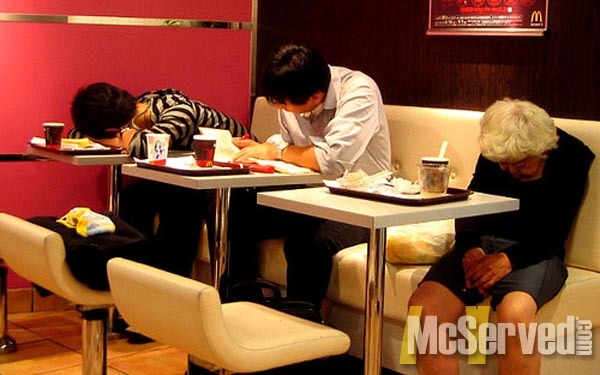 EXHIBITION OF WEAK DIGESTIVE POWER | McServed: Getting Served McDonalds Fast Food Funnies, Laughs and More! Not everyone can stand the powerful caloric intake of the average McMeal. Tranquilizing effects like this, I thought, was reserved for circus animals.